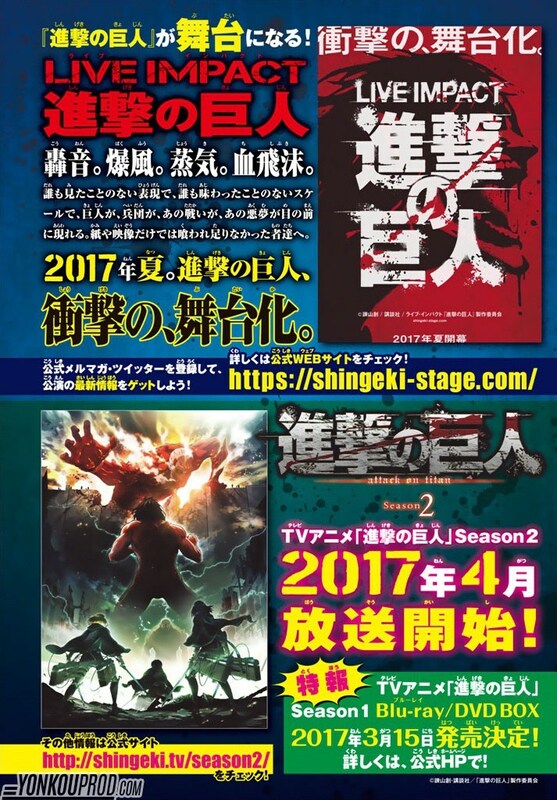 Some exciting news ahead as the January 2017 issue of Bessatsu Shonen Magazine is announcing that Hajime Isayama’s Attack on Titan manga will debut its second anime season in April 2017! Furthermore, a complete DVD/Blu-ray box set will also be available as it’s advertised for the 15th of March 2017. With that mentioned, I am personally excited for the return of the second season, the first exploded with excitement and brought a lot of fans into the anime universe. The second season will feature a lot of the same cast and production crew, hopefully it builds on the first and makes it even better. Anyways, what do you think? Go ahead and comment down below telling us what you think. This just keeps getting better and better!! I really need to watch Gintama, and I’ve heard lots of good things about Code Geass, so might add those to my list to watch. Yeah you need to watch Code Geass, before watching season 3, I’m defiantly looking forward to 2017 even more now!! What is it about? Is it similar to any other shows? Its a film that’s set in an alternative timeline, where the main character Lelouch is a former prince of the Holy Britannian Empire, is sent into exile by his evil father along with his sister to Japan. After that his country declares war on Japan and conquers it. So Lelouch gains a power from an immortal girl, uses it to destroy Britannian. 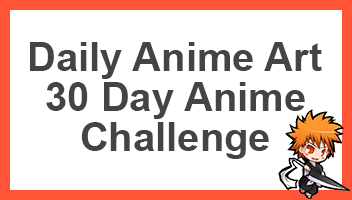 Its similar to Akame Ga Kill, where the characters are more Anti-Heroes, not too many funny moments, very serious and has dark moments like Attack On Titan, but it stills is very good. Mighty excited for attack on titan season 2 ….also hope that one punch man season 2 gets released soon…also anybody know when the next season of tokyo ghoul will be coming out ?? Hmmmmmm not too sure dude, I’ll look into when I get time and post something if its coming out.